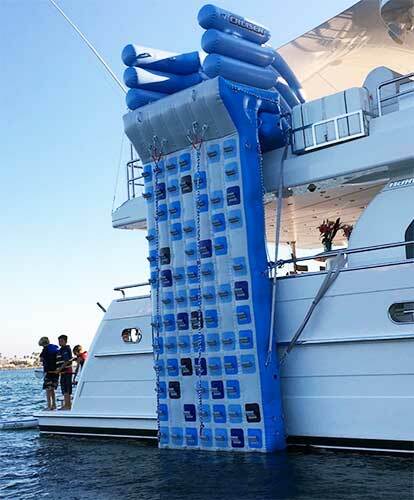 Brownie's YachtDiver is pleased to announce the addition of the Rock Climbing Wall for yachts to the already extensive inflatable yacht toys inventory. 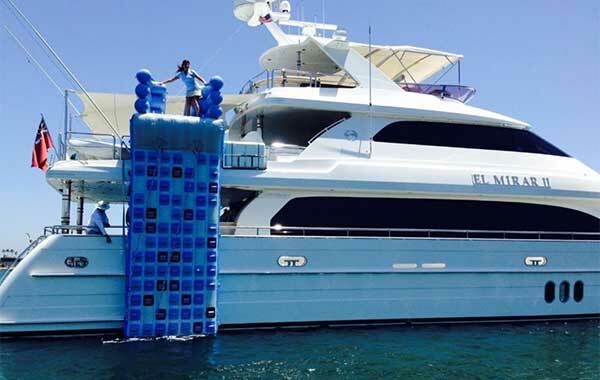 See these customised Climbing Walls for an exact fit to your yacht with your logo. These high quality Rock Climbing Walls will provide all the fun you need for children and adults. Go to the Water Slides Page for more information and to order a custom Rock Climbing Wall for your yacht today!